The 2016 MLB Home Run Derby is exactly one month away, and I’m already excited. Although the official All-Star game is the must-see event in the mind of many baseball fans of what has become a three-day spectacle, for me, the Home Run Derby is the most thrilling of all the events. With the rules of the derby being changed last year back to just eight players, and with hitters going up against a clock instead of ten outs, many baseball fans had a negative reaction to the change, but I truly liked it. I feel that it made things more fun to watch overall, and should do so again this time around. This year, the derby is taking place at Petco Park in San Diego. Not known as a hitters’ park, it should be interesting to see how the derby goes, but the players I chose each have no trouble hitting a ball out of any ballpark. I picked my players based on four specific chriteria per league: I chose the current league leader, a rookie, an under-the-radar power hitter, and a personal selection. By choosing guys with a lot of power, but also by selecting a wide range of players, I think the players I went with for the American League and National League would make for a fantastic 2016 Home Run Derby. Mark Trumbo: After having a somewhat subpar season by his standards in 2015, Trumbo has exploded back onto the scene this season, becoming the first player to reach the 20-homer mark in early June. Having the most home runs in the American League, in addition to his tremendous power and ability to hit numerous blasts, Trumbo was the easiest pick of the American League half of things. Nomar Mazara: This time last year, the majority of baseball fans had never even heard of Nomar Mazara. However, more and more fans are hearing of him now. Mazara holds unbelievable power, and should have the platform to show it off at the home run derby this year. Being a rookie, it would certainly bring interest into the derby, as fans look to see how the young star-in-the-making fares. Khris Davis: Baltimore’s Chris Davis has been known for his power for quite some time now, but the Athletics’ own Khris Davis (with a ‘K’) isn’t far behind in that department. Originally a member of the Brewers, Davis has been on a tear ever since switching teams, and has shown off his power on numerous occasions this season. I feel that he needs to be one of the players in the derby this year. Nelson Cruz: There are a lot of different ways this pick could have gone, and I spent a great amount of time debating it in my mind, but I wound up landing on Cruz. Known simply as the ‘Boomstick’, Cruz carries a ton of power in his bat, and would be some major competition for the National League side to compete with. Playing his home games at Safeco Field, Cruz is used to hitting at pitcher-friendly parks, and would do well at Petco. Nolan Arenado: There’s no doubt that Arenado has power to burn, tying for the most homers in all of baseball last season with 42, and well on his way to reaching that mark yet again. By playing in Colorado, Arenado doesn’t get the attention that he would if he were to be playing in a larger market, but he’s leading the National League in homers yet again and it would be a disservice to the event if Arenado didn’t participate. Corey Seager: When Corey Seager came up at the final portion of last season and put on a hitting show, you could immediately tell that all of the hype was warranted, which hasn’t always been the case historically. This season, he’s done nothing but improve upon that hype, in this still his rookie year. Having a three-homer game earlier this season, the power is definitely there for Seager, and I think he’d do well in the derby. Wil Myers: Injuries have plagued Myers over the course of his career, but without putting a jinx on him, it looks like Myers in on the verge of a major breakout season. Although he was once a consensus top-five prospect, I don’t feel he’s getting the attention he deserves. The derby would allow for that, in addition to his participation giving the hometown fans someone to root for, like Todd Frazier in Cincinnati last year. Yoenis Cespedes: A home run derby without Cespedes just wouldn’t be the same after seeing what he’s capable of in previous derby spectacles. For that reason, I chose him as my fourth pick to take part in the derby. While Cespedes has struggled at time this season following a red hot start, he has the ability to put on an absolute show for both number of homers and distance in which he hits them, making him worthy of selection. So, those are my picks for who I’d like to see in the 2016 Home Run Derby down at Petco Park on July 11th. Odds are that not all of them will be selected, but I truly hoped the majority of them are in the derby. 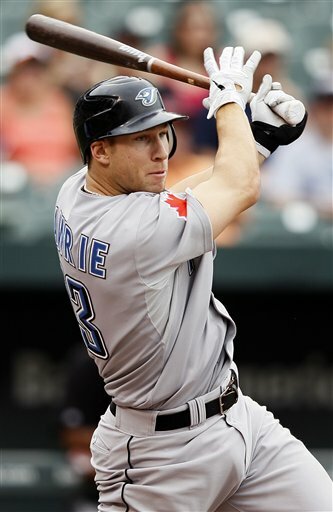 It would make the Home Run Derby very exciting to watch, in my opinion. When the dust settles a couple months from now, and spring training begins to kick off, the Padres could turn out to be the winners of the entire offseason. While the Red Sox are arguably the most improved team, with their pickups of both offensive presence and starting pitching, it’s the Padres that have done the most to improve their club in a very short amount of time. Finishing with a record under .500 for the fourth straight season in 2014, not a lot of people likely had the Padres doing much of anything impactful this offseason that would give them any chance against the division dominant Dodgers and Giants moving forward. However, the Padres are seemingly putting together a competitive ball club, and are losing very little in the process, all thanks to their new general manager, A.J. Preller, who was given the daunting task of turning around one of the worst offenses from the previous year. News of the Padres’ team revamp first arose during the Winter Meetings, when a trade for Matt Kemp was first reported. Although it took them over a week to finalize the deal due to a concerning physical of Kemp that showed arthritis in his hips, the Padres landed their man, getting Matt Kemp (along with 32 million dollars) and Tim Federowicz from the Dodgers, in exchange for Yasmani Grandal, Joe Wieland and Zach Eflin. Following that initial announcement of the Kemp deal, the Padres proceeded to further improve their outfield for next season, acquiring Wil Myers as part of a three team, 11-player deal with the Rays and Nationals. In the large swap, the Padres received Myers, Ryan Hanigan, Jose Castillo and Gerardo Reyes from the Rays, and sent Rene Rivera, Joe Ross, Burch Smith, Trea Turner, and Jake Bauers back to Tampa. The Rays then flipped Turner and Ross to the Nationals for Steven Souza and Travis Ott. (Follow all that?) In short, the Padres acquired promising young outfielder Wil Myers without giving up too much in return — just as they did with the Matt Kemp trade. But the little loss, big return trade pattern didn’t stop there for the Padres. 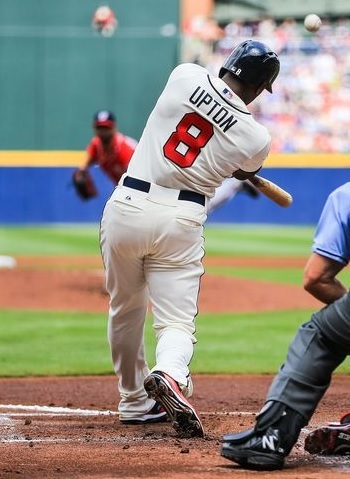 Shortly after announcing the Wil Myers acquisition, the Padres made yet another trade, once again for an impactful outfielder, bringing over Justin Upton and a low level prospect to be named later from the Braves. In return for Upton, San Diego didn’t have to part with too much, sending away just Max Fried, Jace Peterson, Dustin Peterson and Mallex Smith. Although three of those four players were in the Padres top twenty prospects list, the Padres were still able to maintain their top two prospects in Austin Hedges and Matt Wisler, which is truly remarkable when you think about it. Not all of the moves the Padres have made have been large, though. Some of the smaller changes the Padres have completed that could turn out to have major impacts have also taken place over the past day or so. As replacement for the slot lost when they traded away Yasmani Grandal, the Padres traded Jesse Hahn and R.J. Alvarez to acquire former All-Star catcher, Derek Norris, along with Seth Streich and an international signing slot from the Athletics. In addition, the Padres made a smart small move on Friday, flipping Ryan Hanigan, who they just acquired in the Wil Myers trade, to the Red Sox in return for Will Middlebrooks, who will now man the hot corner in 2015. All of these moves for a brand new outfield, as well as an improved infield, will go a long way in improving the Padres next season. Their lineup is undeniably better, and one that will be a force to reckon with for sure. But what about their pitching? As has been proven time and time again, you don’t win games with just hitting, you have to have pitching as well. But surprisingly, despite the Padres’ dismal win-loss record from 2014, they did in fact have a good, under the radar pitching staff made up of solid players. 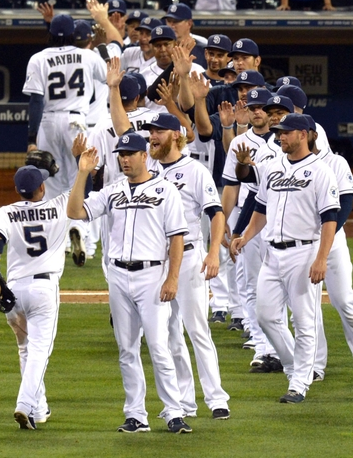 Due to the bad offensive production, which saw the Padres finish the season last in batting average, last in RBI’s and 28th in home runs, it was overlooked that the Padres had the fourth best team ERA in all of baseball on the season, coming out to a mere 3.27. With their big name pitchers from 2014 — Tyson Ross (2.81 ERA), Andrew Cashner (2.55 ERA), and Ian Kennedy (3.63 ERA) — still on the roster, to go along with newly acquired Brandon Morrow and Josh Johnson, who is reportedly close to returning, the Padres truly have a solid team for 2015. But they still aren’t likely done. 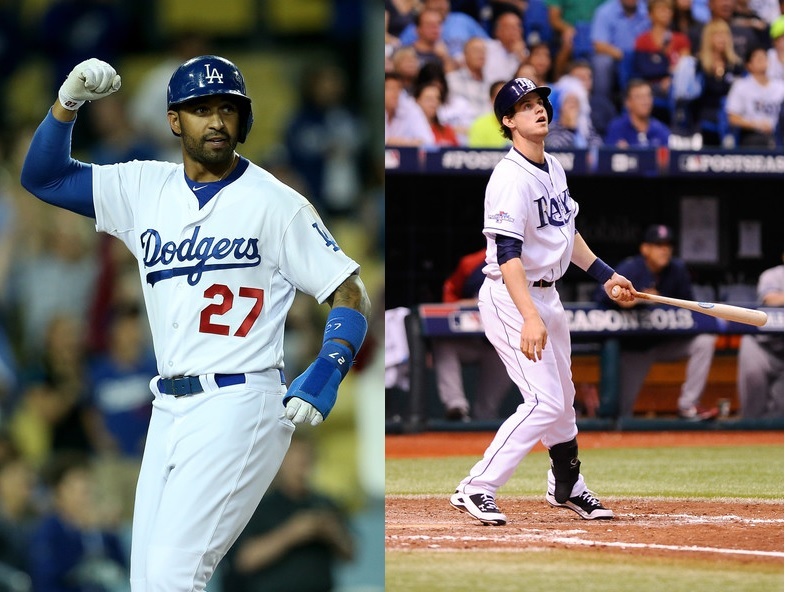 After obtaining Matt Kemp, Wil Myers and Justin Upton via trades, San Diego now has a surplus of outfielders — Seth Smith, Will Venable, Carlos Quentin, Cameron Maybin — whose spots have been filled. That assuredly means that at least one of them will be on the move, and that could end up bringing the Padres yet another piece of the puzzle. But while the Padres are no doubt headed in the right direction and will show drastic improvement as soon as next season, I don’t think it will be enough to win the National League West division. The Dodgers and Giants are still too good, and will likely make moves of their own to get a little better before April. After finishing 17 games back of the division winning Dodgers last season, that’s too far of a jump for the Padres to make in a single season, in my mind. However, despite that, I applaud the San Diego Padres. Following a season in which they were at the bottom of the pack in nearly every offensive category, the Padres look to have solved that in a matter of a couple weeks. If the new additions of Matt Kemp, Wil Myers, Justin Upton, etc., can play to their full potential, and if the down seasons by former standouts Jedd Gyorko and Yonder Alonso can be turned around, things look to be bright for the Friars. Even if they don’t make a run at the division title, the Padres are in line to compete for at least the second Wild Card spot in 2015. Having not made the postseason since 2006, fans in San Diego have been waiting for quite awhile to see a team with this talent level be presented on the field, long wishing that some major changes would be made. It would appear Padres fans have finally received their wish. The Rookie of the Year award was first handed out in 1947 to Jackie Robinson, after he broke baseball’s color barrier and went on to have a great first season of what would become a Hall of Fame career. Given out to a single player again 1948, the award was expanded in 1949 to include a player from each league, and has been that way ever since. Renamed the Jackie Robinson Rookie of the Year award in 1987, fourteen players who have won the award have gone on to the Hall of Fame, up until this point, of the 130 players to win it — several of those winners are still active players, however. 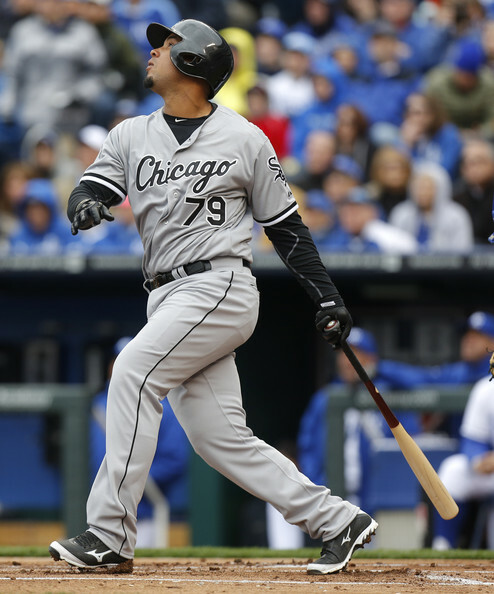 Despite Jose Abreu being two months shy of his 28th birthday, and forgoing the fact that he came to the United States this past season after several years of playing pro ball in Cuba, there is little argument that Jose Abreu most deserves the award for 2014 American League Rookie of the Year. Batting .317 on the season, to go along with 36 home runs and 107 RBI’s, Abreu showed off his ability to hit for both power and average this past year with the White Sox, and has truly been the award frontrunner since he blasted his way onto the scene in April. Abreu becomes the first Rookie of the Year award winner in White Sox franchise history since Ozzie Guillen in 1985, as well as the first player since Mike Trout (2012) to receive the award via a unanimous vote; joining the likes of Craig Kimbrel (2011), Evan Longoria (2008) and Albert Pujols (2001), as the most recent. Picking up 30 out of the 30 first-place votes, Abreu’s 150 points overall easily carry him past the runner up, Matt Shoemaker, who picked up 40 points, and Dellin Betances, who placed third, with his 27 overall points. Although some players have posted great rookie seasons only to go onto have poor MLB careers, it’s safe to say that Jose Abreu — with his 30-40 home run a year potential — is bound for historic seasons moving forward. Heading into the 2014 season, many saw the speedy Billy Hamilton as the likely runaway winner for the National League Rookie of the Year award. And he surely would’ve been, if not for a slow start to the season and a player by the name of Jacob deGrom who made his debut in mid May and took the baseball world by storm. 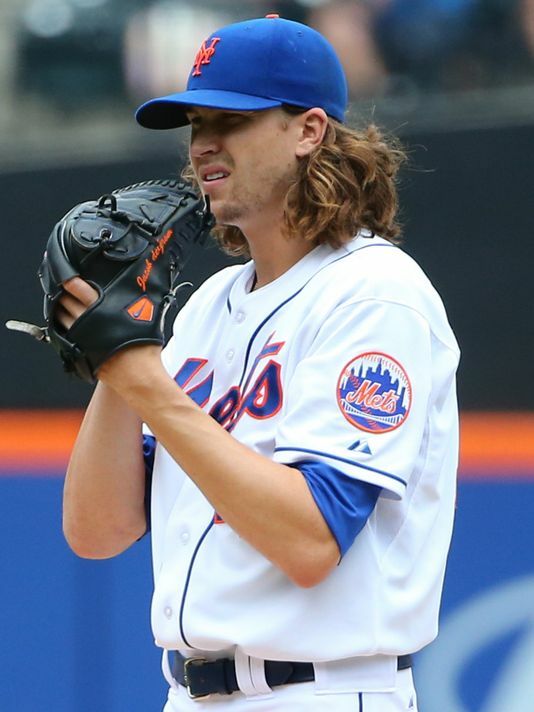 Although he didn’t post the most impressive stats in MLB history, going 9-6 with a 2.69 ERA over the course of 22 games started, deGrom was more than good enough to win the Rookie of the Year award, striking out eight straight batters to begin a game during one of his starts. The first New York Met to win the Rookie of the Year ward since 1984 when Dwight Gooden took the honor, deGrom was one of the best pitchers in baseball following July 4th, posting the second best ERA (only Clayton Kershaw was better) in all of baseball over his last 15 starts. deGrom received 26 out of the 30 first-place votes, coming out to 142 points overall, leading him to a sizeable win over Billy Hamilton, who picked up 92 points and the other 4 first-place votes; and future big league star Kolten Wong’s third place finish with a total of 14 points. When the Mets receive back their ace, Matt Harvey, in 2015, deGrom should be a great number two starter in their rotation. If things go as planned, the Mets could be a drastically better team next season than they were in 2014. However, whether or not that happens, deGrom is going to be really exciting to watch.